The effortlessly talented Tracey Buyce shared with us a recent Glen Sanders Mansion wedding featured in VOW Magazine. 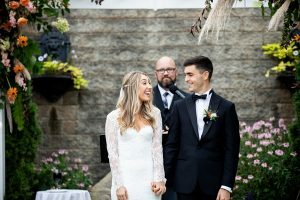 The wedding of Katelyn and Matthew was held on October 7, 2018, here’s a look at their gorgeous day! Katelyn and her bridesmaids got dolled up and strutted their stuff all the way to the ceremony. 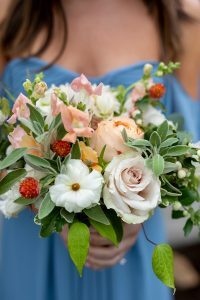 The bridesmaids were her something blue! 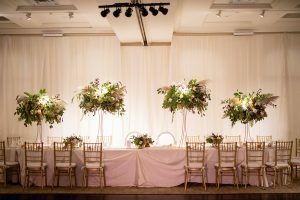 They all held gorgeous floral arrangements by Renaissance Floral Design for the ceremony – a must for every beautiful bride and her besties. 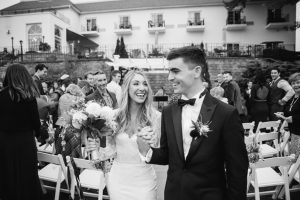 When it came time for the ceremony, Katelyn and Matthew said their I do’s in front of the picturesque Mowhawk river on the front lawn of the Glen Sanders Mansion – the perfect ceremony space for a beautiful fall wedding. After the ceremony, it was time for the reception. 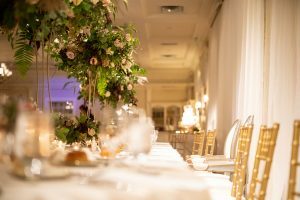 They enjoyed a delicious sit down dinner surrounded by more gorgeous floral arrangements. As for the meal, Kate said “honestly, ALL of the food was my favorite. 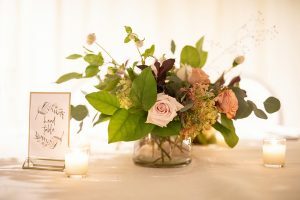 It was so much fun customizing the menu – Maria (our wedding planner) guided us in deciding the best options to represent the tastes of both families, and that would be sure to please our guests.” They also took the inititative to customize their bar package by adding on a signature drink! “Our signature drink (traditionally a “Hemingway Daquiri”) was better than I had hoped for”. 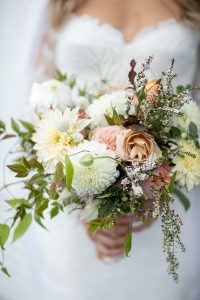 When asked what advice they would offer to future brides the two remarked, “Our tip would be to find vendors that [are] as friendly and professional as the ones that we were blessed to work with”. 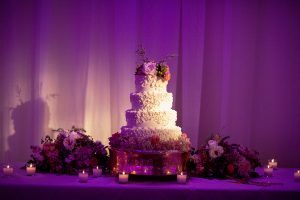 “The bakers who bake till the dawn so we can have cake in the morn…” on Let them eat cake!